Since our inception in the year 1974, we, “Prem Industrial Corporation”, are one of the leading and reliable manufacturers and exporters as well as suppliers of best quality Brass Hardware. Made to perfection, all our products are widely relied upon since we make sure that all the standards are met in manufacturing this range. 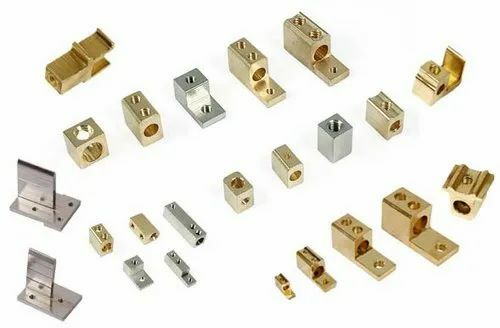 Customers can avail from us products such as various kinds of Brass Anchors, Brass Component, Clamps, Brass Neutral Links, Brass Earthing Accessories, Brass CPVC Inserts, Brass Fasteners, Brass Panel Board Accessories, Brass Inserts, Brass Sanitary Fittings, Brass Mirror Caps and much more. Made from the best quality raw material such as brass and other components, we avail this range to the customers in the most comprehensive and industry leading prices. Under the ambitious guidance of our mentor "Mr. Viresh Shah" have been able to keep the reputation of the company consistent. Keeping a stringent focus on the specialization of manufacturing and packaging, we make sure that all the standards are taken care of. We process these accessories and products at our splendid and sophisticated infrastructure under the expert supervision of our professionals. Our r&;d department, manufacturing department and packaging department make use of advanced technologies and latest kinds of machines for the manufacturing of these products. We export our products in East Europe, North Europe, South / West Europe, Central America, South America, North America, Australia / NZ, East / Middle Africa, South / West Africa, North Africa.